Jeremy Clubb and Andrea Bean, two McNary High School graduates who haven’t stopped acting, building sets and playing music, are making their directorial debut with Keizer Homegrown Theatre’s Dog Park, The Musical. The pair were both heavily involved in the drama department while students at McNary, Clubb as an actor and Bean as a violin player in the orchestra pit. After high school, both acted in shows at Chemeketa Community College. From there, Clubb had a minor part in Keizer Homegrown’s first musical—I Love You, You’re Perfect, Now Change in 2014, then joined the theatre company’s board and has been involved in nearly every show since. Bean has played violin and conducted musicals for Pentacle Theatre in Salem. Clubb and Bean were riding back from a show at the Gallery Theatre in McMinnville when the idea of directing Dog Park came up. Bean had been asked but didn’t want to go at it alone. Bean turned out to be the perfect partner. Dog Park, which debuts in the Chemeketa Community College auditorium on Friday, Oct. 6 at 7 p.m., tells the story of Daisy, a sassy Westie played by Holly Beaman, who is encouraged by her owner to find love at the dog park. Daisy meets Champ the Collie, a charming but full of himself show dog played by Joshua Seitz, Itchy, a neurotic Jack Russell terrier played by Brandon Correa and Bogie, a mysterious loner lab mutt played by Dennis Fisher. This unusual quartet make their way through the day’s scheduled events which include Singles With Friends, Agility Class, Speed Mating, Yappy Hour and Lovers with Leashes. “Finding that person that you connect the best with, that’s what this is about,” Clubb said. While Daisy does find her mate, everything doesn’t go as planned. “Like every good show you have some misconception and plot twists,” Bean said. The co-directors have added extra characters to the show in three purse dogs—Ginger, played by Hillary Hoover, Trix, played by Stacia Rice and Cookie, played by Amber Traver. In the original production, the characters are played by the three males using puppets. But when only females showed up to the original auditions in January, Bean and Clubb had to be creative. For choreography, Clubb called in a favor from a former classmate at Chemeketa, Nathaniel Pierce, who now teaches in New York City at the American Musical and Dramatic Academy and worked on the Tony Award winning musical Dear Evan Hansen. At no charge, Pierce flew out from NYC to start the choreography before Clubb and Bean finished it. Louise Biffle made the costumes, which includes wigs, ears, collars and painted noses. But no tails. Clubb and Bean have worked to get the community and audiences more involved. Along with face painting in the lobby, Clyde’s Confections, a bakery in Salem, is making doggie treats, to be eaten by humans, for sale. Additional shows are Oct. 7, 13, 14, 20, 21 at 7 p.m. and 8 and 15 at 2 p.m. with doors opening 30 minutes before the musical. Those in attendance for the Oct. 7 and 14 shows will get a special treat as The Joys of Living Assistance Dogs will be doing tricks with some of its dogs during intermission. “We’re trying things that haven’t been done with Keizer Homegrown before,” Clubb said. Willamette Valley Animal Hospital is one of the sponsors the show. McNary thespians have been invited to sell concessions during the opening weekend, Oct. 6-8, with Keizer Homegrown donating a $1 to the MHS drama department for every ticket sold at the door. Tickets are $15 and are also available online through Brown Paper Tickets at www.brownpapertickets.com/event/3091639. The auditorium is located in Building 6 at Chemeketa Community College on 4000 Lancaster Dr. NE. Closest parking is in the purple lot at the college, easiest to find by entering campus off of 45th street and following the signs to the auditorium. The Appeals Court of Oregon has overturned the 2013 murder conviction of Peter Zielinski who was charged with the shooting death of his wife, Lisa, in January 2011. The court issued the opinion on Wednesday, Sept. 20. Peter Zielinski pleaded guilty to shooting and killing his wife in 2013 and was sentenced to life in prison with the possibility of parole after 25 years, but his plea included the right to appeal. In the opinion issued by the court, Judge P.J. Armstong wrote that the facts of the case were undisputed. However, by not allowing expert testimony that would have cast Zielinski as being affected extreme emotional disturbance and suffering from anxiety disorder, the lower court had overstepped the intent of the law. “(The) defendant’s anxiety disorder, as explained in this case, bears a closer resemblance to physical illness or disability than it does to non-clinical personality traits like ill temperament, dishonesty, or stubbornness,” Armstrong wrote. • Peter and Lisa Zielinski’s martial problems begin ratcheting up. • Peter discovers hundreds of text messages between Lisa and a co-worker, including at least one that contradicts a prior claim. Peter discovers email exchanges between Lisa and the co-worker. When confronted, Lisa admits to an affair and says she wants to leave Peter and plan a future with the new love interest. Peter calls the wife of the co-worker and forwards one of the emails to Lisa’s boss and co-workers. After a fight, Lisa leaves the couple’s home and Peter claims to have put his gun to his head intending to commit suicide. He says he stopped himself because he didn’t want the couple’s daughter to discover his body. (Day of the murder) Peter told the court he was “at his wits end.” Lisa shook her head in disgust when Peter tried to hug her. After previously pleading not guilty to the crime, Peter changes his plea to guilty with the stipulation that he can appeal. Judge Dale Penn sentences Peter to life in prison with the possibility of parole after 25 years. The Oregon Court of Appeals overturns the conviction – saying the court erred when it did not allow expert testimony about Peter’s mental state during the crime – and sends it back to Marion County Circuit Court. Armstrong suggests that the lower court judge, Judge Dale Penn, erroneously conflated personality traits (like stubbornness, dishonesty, etc.) with mental disorder and that the exclusion of expert testimony on that basis was unfounded. After his arrest, Zielinski was examined by Dr. Richard Hulteng, a Portland psychologist. Hulteng diagnosed Zielinski with adjustment disorder with depressed mood, anxiety disorder and alcohol abuse along with narcissistic personality traits. The second psychologist diagnosed Zielinski with anxiety disorder and, alcohol abuse and obsessive-compulsive personality traits. The state filed a motion to prevent the psychologists from testifying regarding Zielinski’s anxiety, its source and how it manifests. The defense argued that such testimony critical to understanding Zielinski’s situation. It would have provided the opportunity to argue that Zielinski was operating under extreme emotional disturbance (EED), a determination which is left to juries under Oregon law. Judge Dale Penn sided with state attorneys. In 2013, Zielinski changed his plea from not guilty to guilty with the condition that he could appeal the judge’s decision on the psychological testimony. Leaving the door open to the EED defense could reduce the crime of murder to first-degree manslaughter. The two carry different minimum sentences under Oregon law. The minimum penalty for murder is 25 years and the minimum for first-degree manslaughter is 10 years. Zielinski’s case will now come back to the Marion County Circuit Court. No dates have yet been set for new court appearances. Zielinski remains in prison at Oregon State Correctional Institution in Salem. 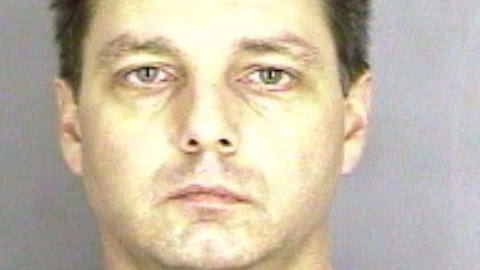 In 2013, Peter Zielinski pleaded guilty to killing his wife in their Keizer home. Now that the Appeals Court of Oregon has overturned the verdict, Zielinski can withdraw his plea, said Amy Queen, a spokesperson for the Marion County District Attorney Office. Zielinski remains in prison while the courts assign a new judge and set dates for the next steps in the process. As of press time Wednesday, Sept. 27, no actions had been scheduled. Queen was unable to speak about case specifics because it has been reopened. The appellate opinion states that Judge Dale Penn erred when not allowing testimony about Zielinski’s diagnosis with anxiety disorder. Doing so would have permitted a jury to determine whether Zielinski was operating under extreme emotional disturbance. If a jury had found Zielinski to be suffering from EED, it could have considered a conviction for first-degree manslaughter rather than murder. Under Oregon law, the minimum penalty for murder is a 25-year sentence while the minimum penalty for first-degree manslaughter is 10 years. Zielinski was originally sentenced to life in prison with a possibility for parole after 25 years. McNary (3-1) will go to Forest Grove (1-3) Friday, Sept. 29 with one of its leaders on both sides of the ball standing on the sideline. 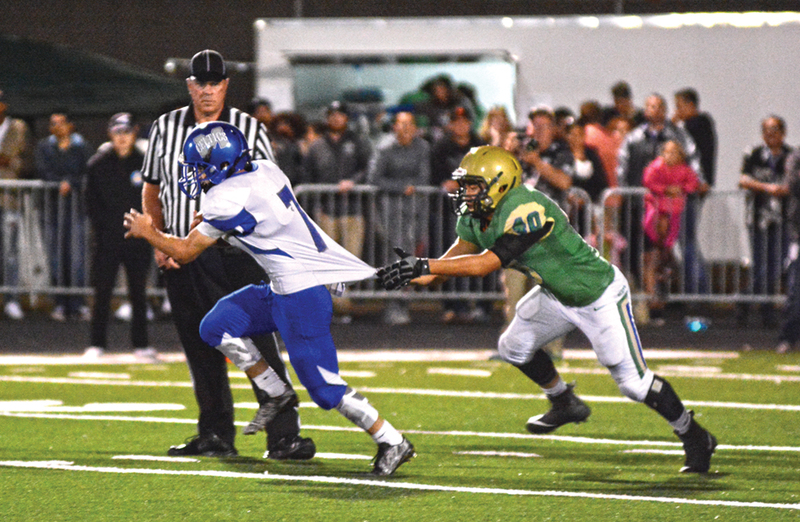 Lucas Garvey, the Celtics leading rusher and top cornerback, suffered a broken collarbone running the ball in the first quarter of a 21-7 win at McKay on Friday, Sept. 22. McNary head coach Jeff Auvinen expects Garvey to be out six weeks and in the meantime he’ll help the Celtics as an assistant coach. In Garvey’s absence, Junior Walling rushed for 171 yards on 29 carries at McKay. Freddy Jimna had 31 yards on eight touches and Robert Benson added 37 yards on nine attempts. On defense, Devyn Schurr got snaps at cornerback. Nigel Harris will also get a shot there. Some good news on the injury front—Jonny Williams, who missed the McKay game after tweaking his quadricep, was back at practice on Monday, Sept. 25 and could also help the Celtics at cornerback. Lineman Tim Kiser, who suffered a concussion against Sprague, is also expected back soon. McNary has owned Forest Grove since the Vikings entered the Greater Valley Conference in 2014, winning all three match ups by a combined score of 107-38. “They haven’t been great but they play hard,” Auvinen said. Forest Grove snapped an 11-game losing streak with a 13-6 win over North Salem on Sept. 8. The Vikings have been blown out by West Albany, McKay and West Salem. For McNary, that includes penalties. The Celtics had 14 for 105 yards at McKay. While millions of American citizens suffer without power and communication, millions of other American citizens are debating protests by players, coaches and owners of National Football League teams. As Puerto Rico’s 3 million people cope with the devastation that Hurricane Maria visited upon the island last week, President Trump attacks people—who play a game for a living—for being unpatriotic by taking a knee during the National Anthem played before football games. The president said he would visit Puerto Rico next week. Why is the suffering that Puerto Ricans are going through any different than what Texans or Floridians or Louisanders suffered after Harvey and Irma? The country opened its wallets for those states, held telethons that raised millions of dollars, yet, our territory in the Caribbean is left twisting in the wind. Many things have gone topsy turvy in America over the past 18 months. It’s no wonder that we latch onto a secondary story as if it were a matter of life and country. Football players protesting in the way they see best is not on the same scale as millions of Americans suffering from a natural disaster or the fact that in the face of a rising ecnomy, many American still feel unsettled and uncertain of their future. This is especially true when the United States is conducting a war of words with North Korea. Does turning a protest by a sports team into a major controversy seem paramount compared to threats that our planes might be blown out of the sky even if it is only near North Korean air space? Who wants to get on a plan heading to Asia now? Americans have been rocked and jostled by events from the Great Recession, to home foreclosures, health care expenses, a constant war in Afghanistan, fears of terrorism, a divisive presidential election and Tweets from the victor. We want a break from wave after wave of bad news we can do nothing about—it is only natural we will respond to the things we can understand. Some think that football players who take a knee during the Anthem are protesting America. In reality, the protests began as a response to police shootings of African-Americans. The president tweeted that they were protesting the American flag and should be fired. That’s how situations become full blown controversies. All this comes down to two words: respect and dignity. All citizens should respect our nation’s flag. The flag represents the freedom to protest what we disagree with. We should all strive to maintain the dignity of all other people. A person who does not share your beliefs is not the enemy, they are a person worthy of respect and dignity who does not agree with you. Americans are free to protest the protest, but what could really show that we are all part of one nation, indivisible, is to reach out to our fellow Americans. Puerto Ricans deserve the respect of their fellow Americans more than that they need financial and infrastructure help. Turn the energy of trivial protests to helping people in dire need. We would do nothing less for Americans in our own backyard. Every few months, all the legislators and lobbyists come back to the Capitol and participate in what is called Legislative Days.We have committee hearings which mostly are informational—we hear from agencies on how they are doing on implementing bills, and sometimes discuss ideas for bills to introduce in the next session. This week the Veterans and Emergency Preparedness Committee met. We heard from the state forester on how the department did during the recent fire season. The information was incredible to hear and I am so proud of our forestry department. They did a tremendous job fighting the hundreds of fires scattered across our state. From the report, it looks like the fires were managed well on state and private lands, but the ones on the federal lands were the ones that went crazy. Carbon cap and trade; the Equifax data breach; moving election dates; and, gubernatorial appointees. Oregon is unique in many ways and one important thing we do that not every state does, is allow for citizens to repeal laws that the legislature has already passed, or put in place laws that the legislature refused to deal with. I think it’s indicative of the disconnect of this particular group of legislators that there are already 32 different petitions being circulated this fall. If you would like to see a full list, you can Google the Oregon Abigail Adams Voter Education Project. A couple of the petitions garnering the most news coverage and speculation are the petition to repeal SB719 (sometimes called the extreme risk protection order), the petition to repeal a recently instituted tax on hospitals and a petition to prevent a sales tax on groceries. There are multiple petitions around vaccinations, getting big money out of elections and school access. If you have a few minutes, it’s fascinating to read about the issues that could be on our ballots in November, 2018. Switching gears, I don’t know about you, but I am excited every time I drive by the Waremart by Winco building that’s under construction. I can’t wait to have more grocery shopping options in our community. I was honored to host a town hall on the lack of options and had conversations with the Winco team as well as Mayor Cathy Clark—and to the best of my knowledge it may open before the end of the year. I always enjoy hearing from you, please don’t hesitate to drop me a line (900 Court St NE, Salem, OR 97310). It is difficult to decide which is the worst aspect of the Republicans’ latest try at repealing Obamacare: the irresponsibility, the cruelty or the lies. There is only one reason the Senate is even considering a vote this week on the catastrophically flawed proposal from Sens. Lindsey Graham and Bill Cassidy. The GOP base wants repeal. So never mind what happens to Americans with modest incomes who have cancer, diabetes or heart trouble. Politics matters more than giving serious thought to a bill that would upend one-sixth of our economy. It has been two months since the last repeal bill was defeated. Did the GOP’s House and Senate majorities use the time to hold hearings on the bill that’s being considered? Did they bring in doctors, nurses and insurers to help craft something sensible? Of course not. They scheduled a quickie, last minute hearing this week for show. Since this vote is all about appearances, who cares about expertise? President Trump and his party want “a win.” They’re willing to wreak havoc on the insurance markets, state governments and people’s lives to get it. “Any effort of this magnitude,” the Medicaid directors added, “needs thorough discussion, examination and analysis, and should not be rushed through without proper deliberation.” No kidding. This was Sen. John McCain’s admirable rationale for voting against the last repeal bill. And even though Graham is his best friend in the Senate, he stuck to principle and announced Friday he was voting against this bill, too. Here’s hoping he eased the path for other Republicans to oppose this legislative contraption whose cruelty is obvious. There has always been something deeply wrong about our country’s failure to provide health insurance for all our citizens, which every other wealthy industrialized nation does. It’s not OK for people to face bankruptcy simply because they are doing everything they can to stay alive. Obamacare was a cautious, market-friendly attempt to make the system a bit kinder. Since the Republicans launched this year’s repeal offensive, many Americans who thought of the Affordable Care Act as a vague sort of failure have heard the compelling stories of those with pre-existing conditions and serious illnesses who are far better off today because of the law. A Washington Post-ABC News poll released Friday showed Americans preferred Obamacare to Graham-Cassidy by 56 percent to 33 percent. Many who believed Trump and other Republicans when they promised to pass something better than Obamacare now know that this pledge was a sham. What the GOP really wants is to spend a whole lot less government money helping people get health care. But they can’t admit it because it sounds heartless. Trump insisted in a tweet: “I would not sign Graham-Cassidy if it did not include coverage of pre-existing conditions. It does!” Actually, it lets states undermine this coverage. Then there is the much-repeated lie that ACA repeal bills are about giving states and individuals more “choice” in health care. Right, and I have the “choice” of buying a fleet of Rolls-Royces. The bottom line: No money, no choice. And if Obamacare is so bad, why are Republicans reportedly trying to buy the vote of Sen. Lisa Murkowski with a special provision that would, in effect, allow Alaska to keep the Affordable Care Act pretty much as is? Why not give every state this option by killing Graham-Cassidy altogether? This week is a testing time. It’s a test of whether the movement that successfully defended the ACA this summer can rally once more. And it’s a test of a handful of Republicans who claim to take the health care issue seriously. No one who votes for this bill can ever make that claim again. Americans of modest financial means may want to withhold their cheers over President Trump’s latest declaration, the one where he wants to reduce the corporate tax rate from 35 to 15 percent. It’s an urban myth that a former U.S. president said, “What’s good for General Motor is good for America,” but it just as well be ascribed to President Trump as he, personally, and his wealthy pals, are those who enthusiastically greet this plan and will benefit from it. But look at the facts in this latest of issues to hit the fan: Trump and company argue that the additional money going into the coffers of U.S. corporations would free up valuable cash for them. Then, these companies could use the money to increase their investments, increase employees’ pay and earnings, accelerate corporate hiring and move the economy into greater growth. Additionally, it’s argued by Trump, corporations that now deposit trillions overseas to keep from paying U.S. taxes would bring the money home and thereby compete better with rivals from countries with lower tax rates. Meanwhile, American economists, tax experts and business owners believe that this tax adjustment is unlikely to doubtful to fulfill what Trump promises. Here are some reasons: (1) Preferring not to hire additional employees, companies may use much of their savings to buy back their stock or simply increase dividends to their wealthy investorsl. Many companies have already been able to borrow money at very low rates in order to grow but have not been inclined to add employees; and (2) Corporate tax cuts will provide small overall benefits because the general health of the current American economy is low unemployment at 4.4 percent and remains in a slow steady upward turn where big tax cuts would deliver nothing or next to it. Two examples from recent corporate tax cuts serve to inform. The state of Kansas, in 2012, exempted thousands of its businesses from corporate taxes and cut individual rates but then faced a devastating revenue shortfall with an anticipated growth that didn’t happen, all resulting in public services, including education at all levels, realizing destructive consequences. The Bush administration provided a tax “holiday” in 2004 in hope of bringing profits back to America but later discovered that tax revenues declined while U.S. companies stashed their cash overseas in wait to receive a tax discount. Currently, those savvy in this matter, including the non-partisan Tax Policy Center, comments that what will happen regarding the Trump plan is that the federal deficit will swell like a bumblebee sting. Those folks tell us that even if all tax breaks were eliminated, the corporate rate could not drop below 26 percent without sending the deficit further into the stratosphere. Of course, one of Trump’s chief advisors is a guy who’s ensconced in the White House. Gary Cohn, very rich, argues for the big corporate tax reduction. He says small businesses would especially benefit. His point is that planned tax cuts on profits would “double” owners’ personal income and free them to hire more employees. Full of misinformation, the Cohn doctrine assumes business owners want to increase their payroll rather than enjoy higher profits and personal income. The ever-shrinking number of Americans still receiving their income from traditional “defined benefit” pensions do not, by the way, receive more money if the stock market rises. And, any argument that proposes corporate tax cuts are a path to benefit the American worker or retiree is now and has always been proven to be the sink hole of the “trickle-down” promise to every U.S. worker myth and the old lump of coal in what’s tried-to-be-sold as a Christmas bonus.